Herbsonlineshop's 100% cajeput essential oil is organic. 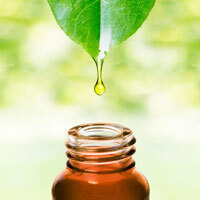 Cajeput oil has a tea tree oil like pale yellow color. It has a strong camphoraceous odor. It smells somewhat like hyacinth and has herbaceous undertones.